It should take you on a journey within; connect with your spiritual awakening, passion and joy. 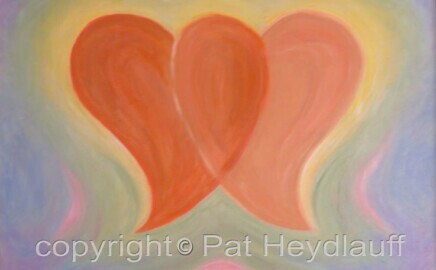 Pat’s spiritual works are thought-provoking, evocative and bright. Whether you are seeking an eternal connection with your Creator, hope, balance, encouragement or fulfillment, her spiritual artwork will help you along your journey. Her spiritual piece called “Ascension” was chosen for publication in the “Best of Florida Artists and Artisans” book, 2006. 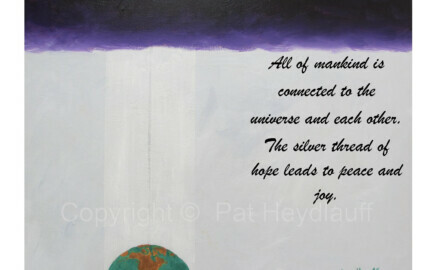 Experience it firsthand – To purchase any of Pat’s artwork click on the store button. Still life and landscape artwork freezes a moment in time through color shape and design. It is Pat’s brush stroke that connects the emotion, beauty and mood of that moment with the viewer. With lush color and tranquil settings, she conveys a sense of peace often reminiscent of a gentler time and place. Her intent is to provide the viewer a feeling of balance and joy in their lives. To purchase any of Pat’s artwork click on the store button. Painting, especially spiritual artwork is all about soul painting and the expression of emotion, connection, encouragement and empowerment through color, words and design. Spiritual artwork should provide the viewer hope, love and peace, connect on a soul level and help people find balance and joy within. 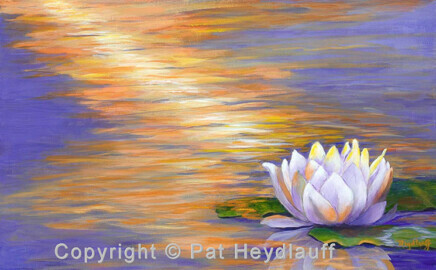 Pat Heydlauff is a spiritual artist and impressionistic painter. Her vibrant colorist paintings are included in public and private collections. 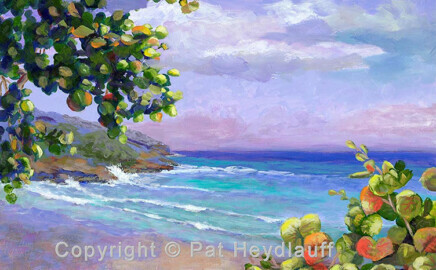 Pat gladly accepts commissions and offers her work as an original or high quality giclée. To purchase her artwork, click on the artwork of choice and scroll down to see your options. For specific requests such as a change in the size of a giclée or a commissioned piece click here. Pat’s new book, The Way We Go, Your Roadmap to a Better Future is a visual and verbal spiritual roadmap to inner peace and a deep eternal spiritual connection. It features all of the artwork in her spiritual artwork gallery interwoven with uplifting inspiring verse.